So I had an idea for a cross-community newspaper called Werewolf Weekly Wednesday News or W3 News (Anna made these names). 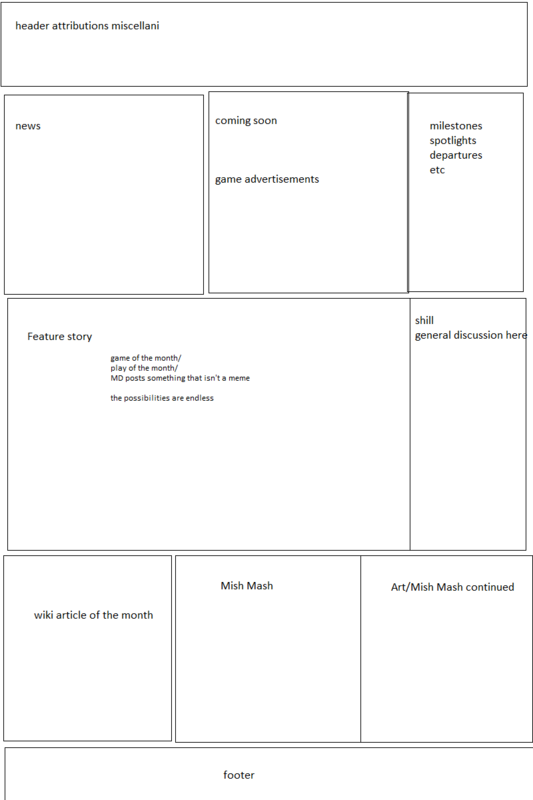 Basically it would contain advertisements for games in signups, articles about mafia theory, announcements for mafia cross-community events, and also some off-topic stuff. it would work as an e-mail concept. i'm not sure how to render it in phpbb3. obviously with tables you could get something that looks nice enough. i don't want the responsibility of doing something like this or at least not right now. if people want some kind of newsletter thing you can all fight to the death on minor details and whoever feels the most guilty gets to do it. Problem with that isn't the actual design. We've had similar but different ideas/designs going back to like 2011. The issue is driving content. I think this could work really well as a quarterly newsletter. That's about the rate of stuff happening here, you know? I would love to be part of a "Scummer Spotlight" type thing you know? If desired, I could write and/or hilight existing articles on Mafia Theory.